DU just posted videos of her pulling 4 plates on the deadlift and doing a 39 min Murph. So yeah, she alive and will be in the bench another 91 years. Trust don’t verify. She's supposed to be a beast right? Ok enough to read court docs and issue votes, right? No excuse. Stinks like McCain did. and spare me all that dignity crap. You forfeit that when you go into public life and are collecting checks that taxes make possible. Lets set the bar low to start. 1st a still photo from the last 20 days then we can step it up to proof of pulse. Her and Bernie are playing 4D checkers as we post. I don’t think we will hear much or have the media pursue anything until they go back into session in Feb. if she is still absent then.....we’ll i think we all know what’s up then. Bump. 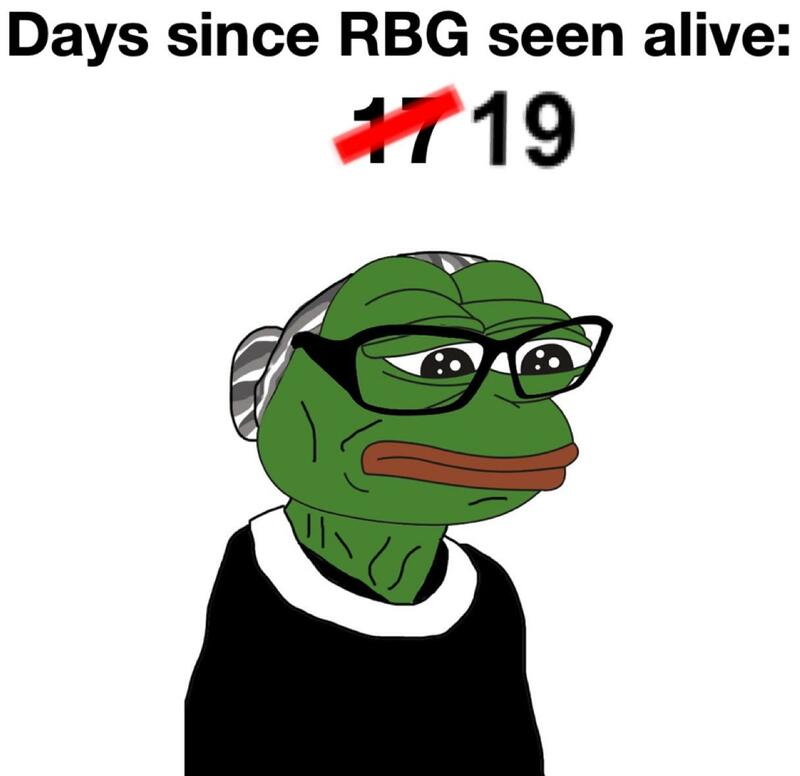 There are too many RBG threads. Can we make this tOfficial? Note: For those of you new to the game, sharing something notable isn't an endorsement. Just putting it out there on a FWIW basis. Man this would be the ultimate scandal. I’m not to sure how much I believe as the number of people that would have to keep their mouths shut would astronomical. I'd say it's up to the Dems to prove it isn't true. Also, what would be the punishment for the Dems acting as if she is alive and writing opinions for the SC while she in incapacitated?